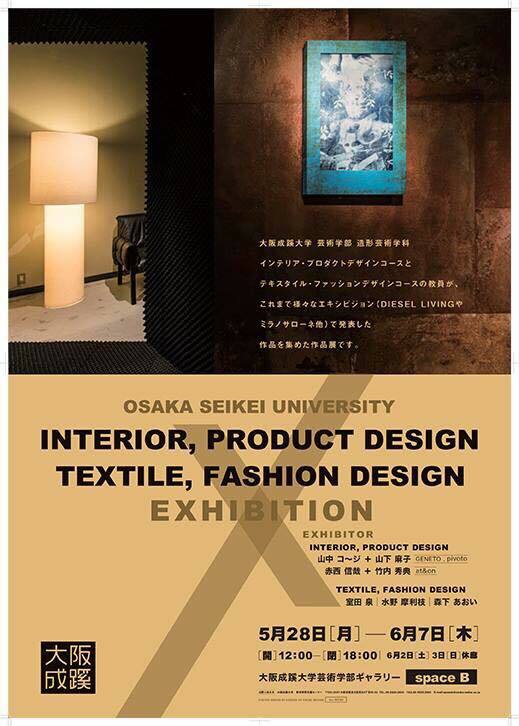 A group exhibition of design teachers (Interior, Product, textile, Fashion, etc) at Osaka Seikei University. As GENETO, we show a short movie of installation project ‘THE WALL’ which has been created four times at DISEL LIVING. There are also some works from our collaboration artists Izumi Murota, Marie Mizuno as well as original posters created by KANDESIGN. We are here till 6 June 2018. Come and see us if you are around.